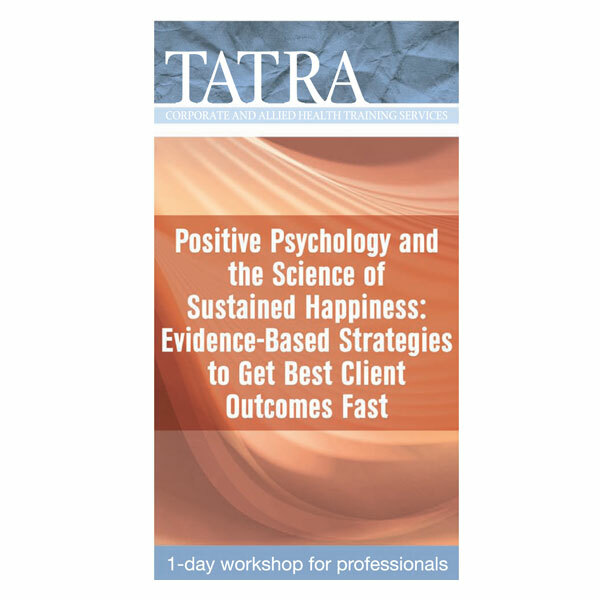 The workshop emphasises the undeniable positive and upbeat appeal of “happiness” but within an evidence-based approach and with the emphasis on research in neuroscience. As is the case in other fields of social science, some findings in the happiness literature confirm common sense while others are surprising and counter-intuitive! Fifteen years into the Positive Psychology revolution and what do we know about helping clients to get and stay happy and mentally healthy? How do we use the evidence-based interventions which support our clients’ enduring well-being? How do we assist our clients to achieve a fulfilling and meaningful life rather than just simple remission of symptoms? The topic of happiness is intriguing to many clinicians, but skepticism about “pop psychology” may be an obstacle to eager implementation of practice-based techniques. In this workshop, Dr. Nowell reaches into the literature regarding human happiness and pulls together a coherent set of practical techniques for clinical application. What common thinking habits actually work against happiness. How common is resilience in the face of hardships and trauma. What are the broader social benefits of happiness. What strategies work best – and which should we avoid – with under-motivated clients. How is happiness related to goal-related action. How do we support clients who struggle with disorganisation and time- and goal-management.